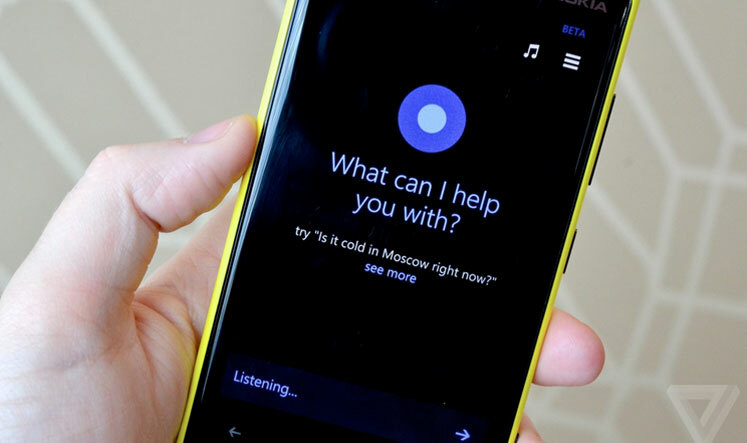 As well as doing the once unthinkable and releasing a free version of Windows, Microsoft has now also showcased Cortana – a new Bing-powered virtual assistant to rival the likes of Siri and Google Voice Search. Both moves are necessary ones by Microsoft, who are still off the mark, even though they have seen increases in both sales of Windows phones and also Bing’s market share in search. Windows phone adoption rates hover at around 4% of market saturation, while Bing’s adoption has increased at the expense of Yahoo, but is still around the 18% mark. To place this in context, Google has around 67% of the search market globally. In a world where mobile search is increasingly the rule, rather than the exception, and is predicted to overtake desktop search revenue by 2016, it makes sense for Microsoft to act now. Google has seen constant gains in revenue taken from search, and although Bing is a bit part player, Microsoft seems to be doing all it can to increase its share. So, Why are we Mentioning This? Bing is often overlooked completely when it comes to search engine optimisation and understandably so – Google’s the main player. How much worse can Yahoo’s fortunes get? Microsoft making its mobile OS open source will encourage developers to create apps for the OS. Up until now, the lack of apps has been a significant issue for people buying a Windows phone. People turning away from Google due to ongoing frustrations with optimisation and paid search, alongside Yahoo’s increasingly messy situation, could be just the catalysts to help Bing – both are outside of Microsoft’s control. Cortana also seems like a wise move, as it patches that middle ground between Siri users who love the polished Apple software, while also impressing others who like the raw, useful functionality of Google Voice and its integration with Google Now. Microsoft’s new software isn’t particularly innovative, however in a way it plays Apple at its own game. Yes, Siri does work with Bing, but the mobile search potential hasn’t been completely realised. Google’s voice search is good but it lacks Siri’s spit and polish. Microsoft has created something that’s a marriage of the best of both. To me this is quite similar to Apple’s innovative approach with the first iPhone. Apple merely took what was there already, and commonly sold by Nokia and other smart phones, and created a device that appealed in both form and function. Cortana is like this to a degree. Now, whether or not Cortana’s technology will translate into an increased share of the search and mobile market for Microsoft is anyone’s guess. However, from the trends we see regarding Google and Bing, I wouldn’t bet against it hitting the 20% mark for searches in 2014 – one fifth of all searches. While Google has by far the largest share of search, optimising for Bing is an increasingly wise strategy and something that’s not often touted. For example, Bing is less SEO competitive than Google, isn’t nearly as aggressive in its penalisation of sites (currently) and also obviously potentially provide plenty of traffic too. In short, there’s an argument for making the effort to integrate Bing into your efforts, just as you do Google. Food for thought we might add. In our next piece we’re going to take a look at some tips and tricks for optimising for Bing as a search engine – watch this space.